The perennial question of Turners Falls’ planters blooms again; catch up on the latest developments. Montague’s May 7 Town Meeting agenda reflects the realities of a post-industrial rural community. Erving welcomes a new selectboard member and tackles a full town meeting agenda. In Leverett, voters hash out bylaws and budgets over donuts. The Nurturing Fathers Program supports dads who want to do better. A young TFHS baseball team plays with heart. In a guest editorial, two Turners Falls residents offer real talk about downtown’s noise problem. 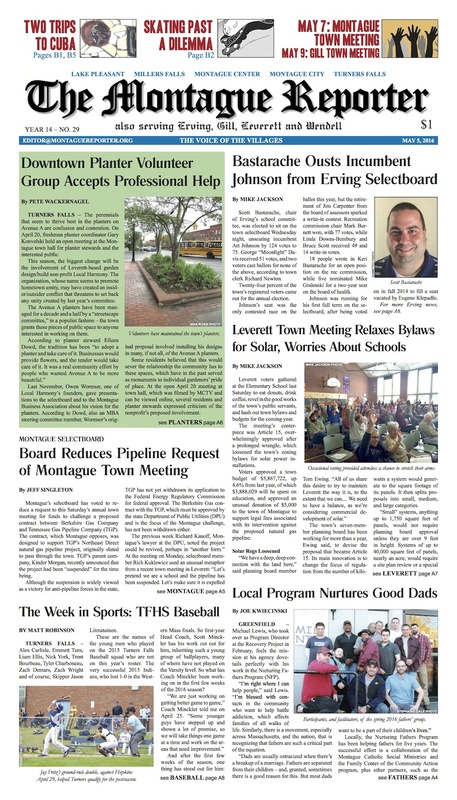 Plus: selectboard coverage from Erving, Gill, Leverett and Montague; the latest from the GMRSD School Committee; and lots of letters to the editor this week — thank you, readers! MoRe: A talented cast portrays timeless issues facing young people in Arena Civic Theater’s “Spring Awakening.” Avenue A’s window gallery features a Leyden artist’s photos from Cape Cod and Cuba. A Montague nonagenarian sews to support Church World Service. The Gardener’s Companion knows when to fold ‘em. NatureCulture: The Science Page looks at women in STEM and old-growth forest conservation. 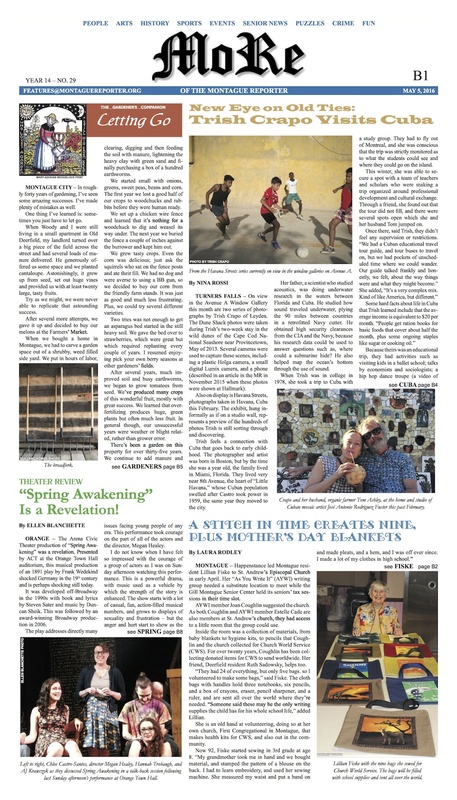 Plus: in Pet of the Week, a friendly, extra-large rabbit; an extra-large Weird Healing; the Healthy Geezer on the importance of sunglasses; Mother’s Day reflections; Jukebox Memories; a busy Montague police log; and arts, entertainment, and event listings.